You don’t have to be a wounded warrior returning home traumatized and depressed to benefit from Transcendental Meditation. Even comedian Jerry Seinfeld says his regular TM practice gives him a rested body and a clear mind, and the energy to do almost anything. For Jerry, it’s his ultimate work tool for success! Here are two articles about TM’s value. New York Magazine’s Dan Hyman interviewed Jerry Seinfeld, again, for Vulture: Jerry Seinfeld on the Comedians in Cars Season Finale and Late-Night TV. It’s excellent and revealing! At the end, Dan asks Jerry how he stops obsessing about creating his comedy bits and web series, and mentions his longtime TM practice. Jerry’s reply beautifully sums up the value of regular Transcendental Meditation practice! How do you relax when not obsessing over your bits or working on your web series? I know you’re a longtime practitioner of Transcendental Meditation. Listen to Jerry Seinfeld talk about TM in other venues posted here. This article, Transcendental meditation: A path to healing, is archived on WWW.ARMY.MIL, The Official Homepage of the United States Army. Written by Wesley Elliott, DDEAMC Public Affairs Officer, it first appeared on the front page of The Fort Gordon Signal: Soldiers meditate as alternative therapy. After nine months of combat in Afghanistan, Staff Sgt. Todd Knauber was wounded. Upon his return home he was told things would get better, but instead they got worse. He was in pain, depressed, taking a cocktail of medications, and didn’t know where to turn for help. Then someone gave him an opportunity to participate in Transcendental Meditation as part of his treatment at the Eisenhower Army Medical Center. TM was being offered as an alternative way to help heal his wounds, both physical and mental. It turned his life around. Here is an excerpt from the article. Knauber was offered an opportunity to participate in Transcendental Meditation as part of his treatment at Eisenhower Army Medical Center. Transcendental Meditation was something he had never heard of but it offered him the possibility of dealing with the medications, the nightmares, and the physical and emotional pain. Since he began meditating, there has been a change in his life. He meditates twice a day for 20 minutes and over the course of four months, he has been able to entirely discontinue two medications, Prazosin and Trazadone, and has reduced his Zoloft by half. In addition to the calm he says he experiences through Transcendental Meditation, Knauber says it has made it easier to manage his physical pain from his injuries. Others have even told him that he looks like an entirely different person after starting to meditate. Doctors promised him through medication and hard work he could potentially heal over the course of years, but since Transcendental Meditation he has moved much closer to achieving his recovery in months. See many more articles on the value of TM for Veterans posted on this blog, here, here, and here. Check out this website to find out more about TM for Veterans. The David Lynch Foundation brings support and programs to Veterans and their families. Visit their website: Operation Warrior Wellness. See the full article with more photos and quotes featured in the 21st issue of Enlightenment: The Transcendental Meditation® Magazine: The “Dear Prudence” Story by Rolf Erickson. 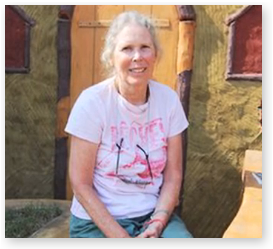 Reprinted here with permission including the video: Dear Prudence: A Portrait Of Prudence Farrow Bruns. Prudence Farrow Bruns, PhD, is the daughter of actress Maureen O’Sullivan and award-winning writer/director, John Farrow. She has been practicing the Transcendental Meditation technique for 48 years, and has been a teacher of the TM program for 46 years. 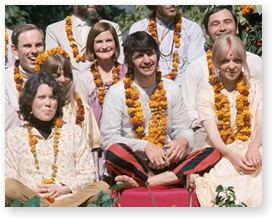 On January 23, 1968, three days after her 20th birthday, Prudence traveled with Maharishi from New York to Rishikesh, India to attend her TM teacher training course. And that’s when the “Dear Prudence” story really began. Prudence (left) sat next to Ringo in course photo. Prudence’s dedication to her meditation practice did pay off. After four months, she graduated from the course and became one of the first and youngest teachers of the Transcendental Meditation technique at that time. But that was just the beginning of the “Dear Prudence” story. Once she completed her teacher training course in India, Prudence definitely did come out to play. Over the past 46 years, she’s instructed thousands of people in the TM technique throughout the United States and Canada. She married TM teacher Al Bruns in 1969, and they have three children and four grandchildren. She’s produced Hollywood feature films and a play in Manhattan. She was an assistant to the curator of the “Theatre Collection” of the Museum of the City of New York. She has been a magazine writer. She’s written two books. Prudence earned a BA, an MA, and a PhD from the University of California at Berkeley. She received her doctoral degree in 2007, with a major in South Asian Studies and Sanskrit. She has made presentations to conferences at numerous universities, including Harvard, the University of Texas at Austin, and the University of Hawaii. She’s taught courses at UC Berkeley and Rutgers University. Prudence continues to teach the TM program in Florida. In fact, she’s the most successful teacher in the U.S. at setting up Affiliate Programs in yoga studios. Maybe that’s not so surprising, considering that she’s a lifelong yoga practitioner, and she opened a yoga institute in Boston back in 1967. Prudence attended India’s Kumbh Mela last year. So even today, 48 years later, the “Dear Prudence” story continues. 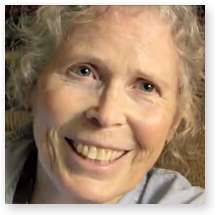 Last year, Prudence Farrow Bruns participated in a series of Consciousness Talks at Maharishi University of Management, called Our Conscious Future. Here is a clip from her talk where she discusses a conversation she had with George Harrison about his spiritual awakening. Prudence, George and John Lennon said they felt it was happening to many in their generation, and that it would continue long after they were gone. Listen to Prudence describe The “Dear Prudence” Story. For other fascinating presentations, visit ConsciousnessTalks.org. Years later, The Beatles released many versions of their songs on the 50th Anniversary of The White Album, now out on Spotify, which include The Esher Tapes. There are 3 versions of Dear Prudence there: the Esher version of John Lennon singing on guitar; one of just vocal, guitar, and drums; and the 2018 mix. Another beautiful song that John Lennon wrote about his experience with Transcendental Meditation was, Across the Universe. Spotify included John Lennon on guitar singing Across The Universe–Take 6. This article was also published in GGN: World Peace News. Here are some related videos and interviews with Prudence Farrow Bruns: The Beatles “Dear Prudence”: A Portrait of Prudence Farrow Bruns, Maharishi and TM and Ted Henry interviews “Dear Prudence” Farrow Bruns about her life with TM and Maharishi and Prudence Farrow — subject of the Beatles song Dear Prudence — visits India’s Kumbh Mela. Prudence’s memoir is now out: Dear Prudence: The Story Behind the Song. Listen to an interview with Prudence about the book online at Spirit Matters with Dennis Raimondi and Philip Goldberg. Read an interview about the book in Rolling Stone: The Real ‘Dear Prudence’ on Meeting Beatles in India. Read this excellent article in the Pensacola News Journal: Woman behind Beatles ‘Dear Prudence’ reads at Open Books. Here is another interview: In Conversation With: Prudence F. Bruns, Transcendental Meditation Teacher and Inspiration Behind “Dear Prudence”. Prudence Farrow Bruns | Conversations with Jeff Weeks | WSRE Pensacola PBS. Watch the A&E biographical film, Maharishi Mahesh Yogi on History International Channel (November 2007) and the earlier CBC documentary of Maharishi at Lake Louise. TMhome also posted the International History Channel documentary on Maharishi Mahesh Yogi: How it was made: The story behind the film. Watch this November 8, 2018 Lyndsey Parker interview for Yahoo Music: Mike Love remembers ‘beautiful, spiritual’ beginnings of the Beatles’ ‘White Album’ in India. Read The Story Behind ‘Dear Prudence’ by Jennie McKeon, Dec 23, 2018, for wuwf 88.1, NPR for Florida’s Great Northwest.